With many different transport providers in Britain our public commute can get disruptive. 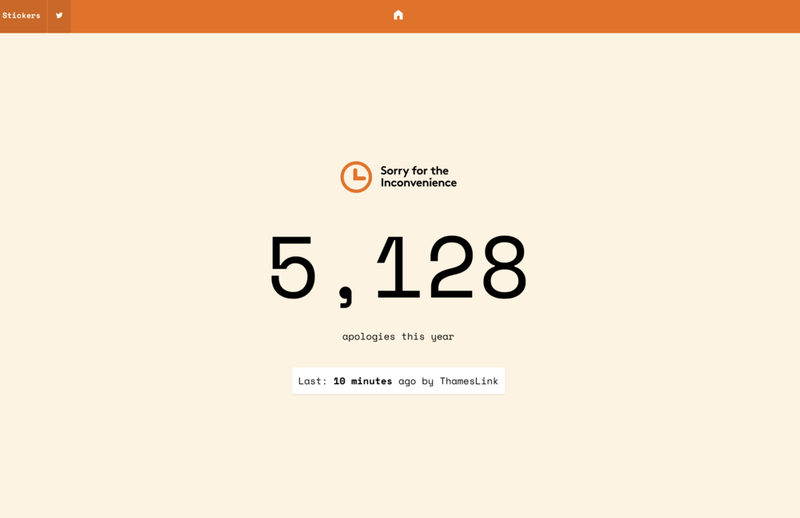 Thanks to website “Sorry For The Inconvenience” , it keeps us up to date with transport disruptions and apologies by aggregating all the apologies broadcasted by different transport providers across the UK in one website. After all, the British is well known for apologising. The website has a landing page designed to look like a British train ticket (cute! ), and all the different transport provider represented in their respective brand colours. From pink for Hammersmith and City line on the London Underground, likewise yellow for the Circle line, to orange for Easy Jet, blue and yellow for Eurostar.